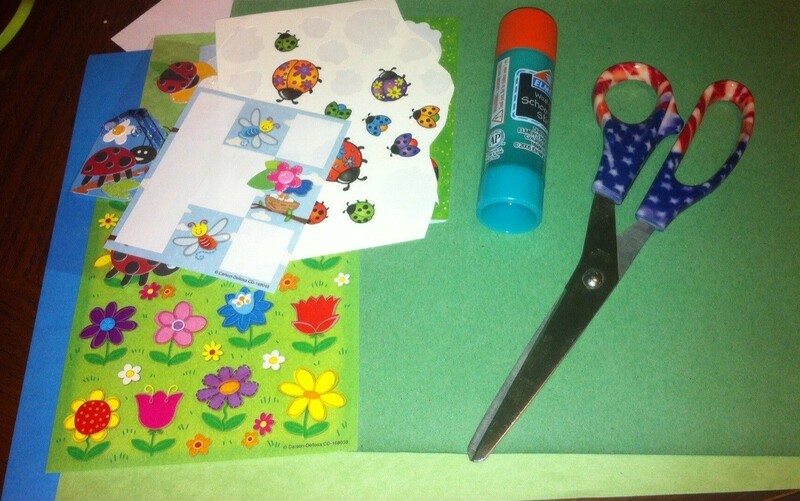 This is a guide about making a spring day project using stickers. 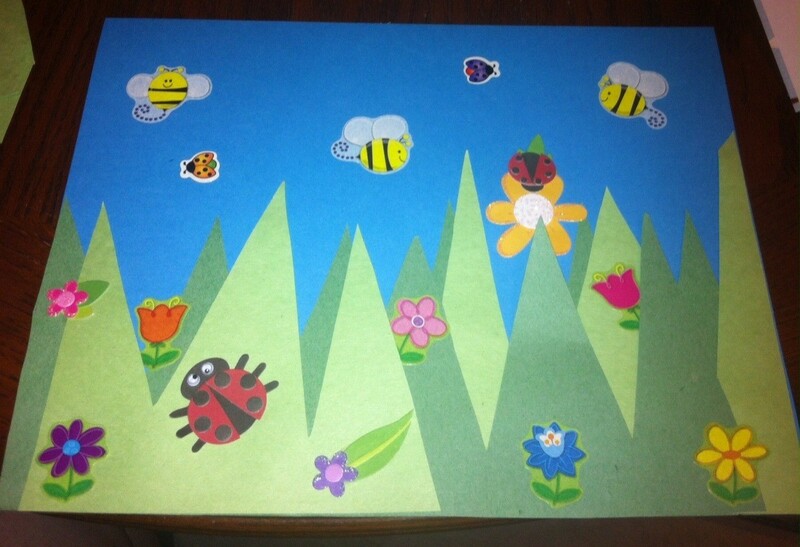 It's easy to create a spring day scene using colored paper and fun stickers. This is a great project to make with young children. Spring brings green grass, beautiful flowers, and a variety of insects. It's fun for kids to document the season's changes with different crafts. One of the easiest, simply requires construction paper, stickers, glue, and scissors! My pre-k classes loved to complete this craft each year. Each student's work was unique and all pieces turned out to represent a perfect spring day! 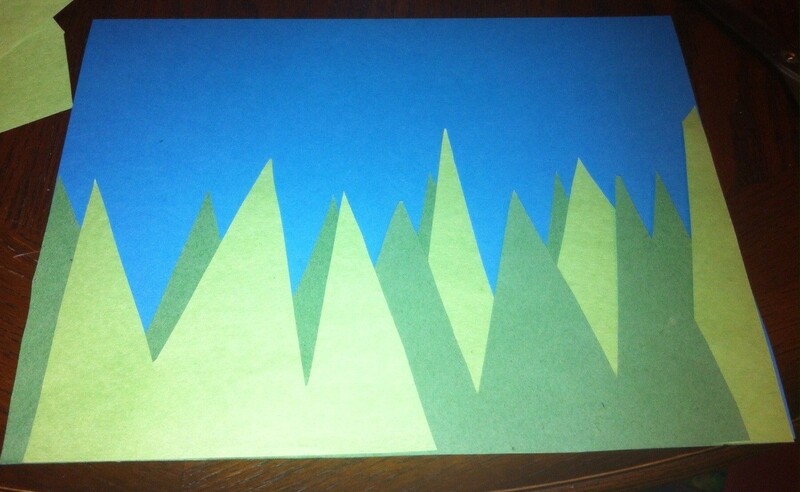 Cut grass from both shades of the green construction paper. Make the blades 3+ inches long so the scene will stand out more. Glue the bottom of the grass pieces onto the blue paper, overlapping the shades of green. 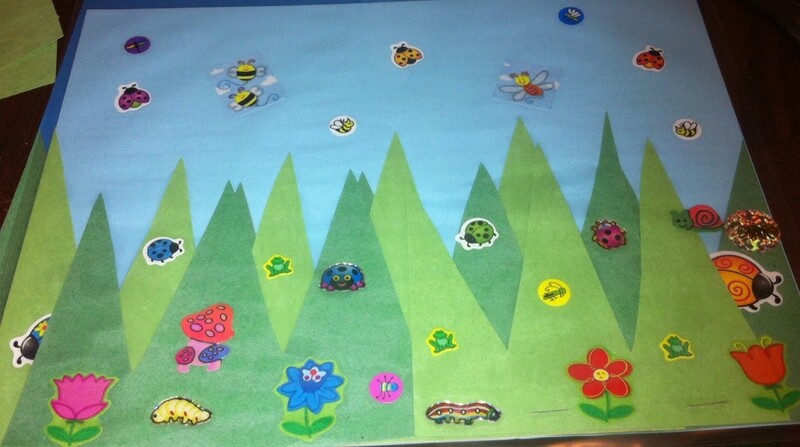 Add flower and insect stickers in the grass and sky! Don't forget to let some flowers or bugs peek from behind the blades!